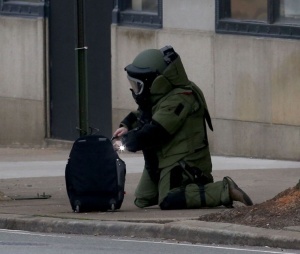 The Virginia Capitol Police's K-9 teams respond to calls for service throughout the downtown Richmond state government complex as well as calls for service from other agencies throughout the region. The division’s Explosive Detection K-9 Teams consist of three K-9s and three handlers. Handled by Officer Brian C. Alexander, K-9 Denis is the 10th dog in the history of the Division of Capitol Police K-9 program, joining the force in March 2018. 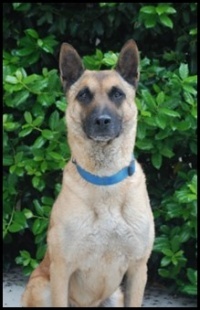 A Belgian Malinois, Denis was born in Brazil and worked in Afghanistan with a defense contractor before coming to the Capitol Police. Denis responds to commands in English and German and takes part in counter-terrorism prevention, bomb-threat response, proactive security sweeps, evidence searches, demonstrations and assisting law enforcement agencies in central Virginia. Handled by Officer Sean Chaulklin, K-9 Gunner is a 6-year-old Belgian Malinois. 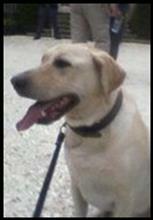 Gunner began with the division in April 2013 and is certified by the Virginia Police Work Dog Association. Gunner performs the following detection services: counter-terrorism prevention, bomb-threat response, proactive security sweeps, evidence searches, demonstrations and assisting law enforcement agencies in central Virginia. 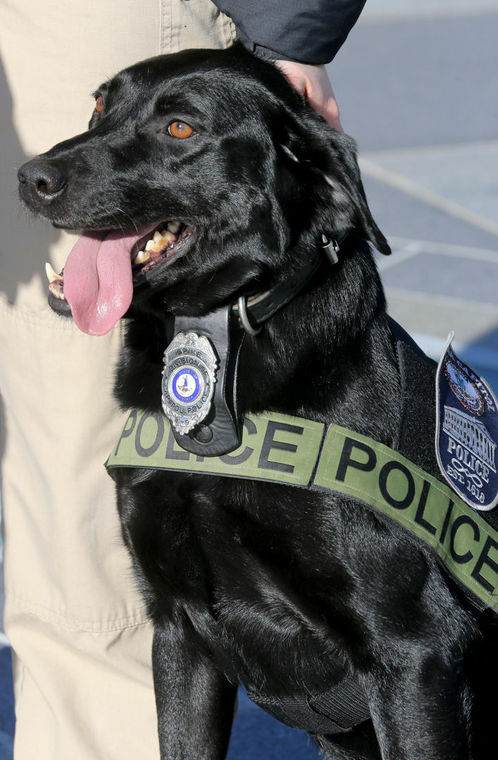 Gunner was the first K-9 to go through the Capitol Police's own training program. 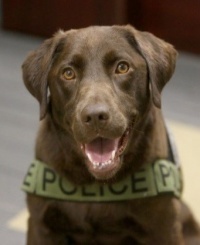 Handled by Officer William L. "Will" Hawkins, K-9 Lucy is a 5-year-old chocolate Labrador Retriever who was donated to the division by the K9s4Cops foundation and was trained by AMK9 in Anniston, Ala. Lucy is certified by the Virginia Police Work Dog Association and has served with the Division since June 2015. She performs the following detection services: counter-terrorism prevention, bomb-threat response, proactive security sweeps, evidence searches, demonstrations and assisting law enforcement agencies in central Virginia. 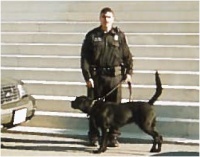 The Division of Capitol Police K-9 Unit was established in December 2000. The K-9 Unit is certified through the Virginia Police Work Dog Association. The K-9 Unit is available 24 hours, seven days a week. When the dogs reach their age and service limit, they are retired and allowed to remain with their handlers as "private citizens." K-9 Atos, a brindle German Shepherd from Marburg, Germany, served with the Division from July 2011 to March 2018. 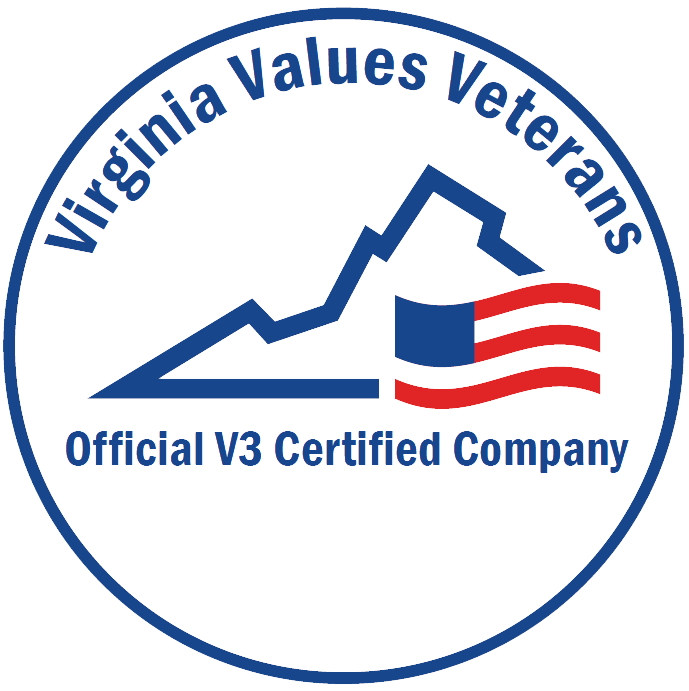 Atos was certified by the Virginia Police Work Dog Association. Upon retirement, he lived at home with his K-9 handler. K-9 Spike served two tours in Afghanistan with the U.S. Marine Corps before joining the Capitol Police in 2013. In February 2015, the Capitol Police, upon learning that one of his Marine handlers, Lance Cpl. Jared Heine, was struggling to adapt to civilian life back in the United States after being wounded in Afghanistan, arranged to return Spike to him. Spike is now retired and living with Heine in Louisiana. Before coming to the division, he worked for the United States Customs Service as a bomb detection K-9 at Newark (N.J.) International Airport. 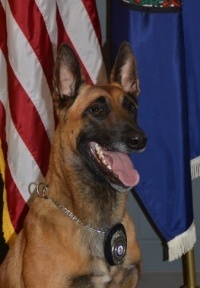 Upon completion of his service with the division, he was retired to live at home with his K-9 handler. 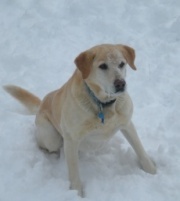 K-9 Tuck worked for Virginia State Police for about five years before Virginia Capitol Police acquired him. One of the division's first two bomb dogs, Tonka was especially active in the wake of the 9/11 bombings. Tonka worked for the division until retirement in 2008. 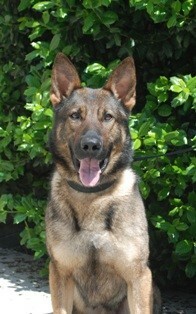 K-9 Troy worked for Virginia State Police for about three years before Virginia Capitol Police acquired him. 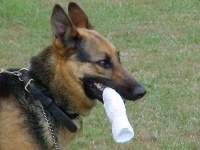 One of the division's first two bomb dogs, K-9 T.J. was especially active in the wake of the 9/11 bombings. T.J. was diagnosed with inoperable spinal cancer in February 2003 and was retired.